I would like to render a game at 320x180 pixels and then scale it - unfiltered - to a 1280x720 window. Is this easily possible in Panda3d? Thank you for the hint, tobspr. 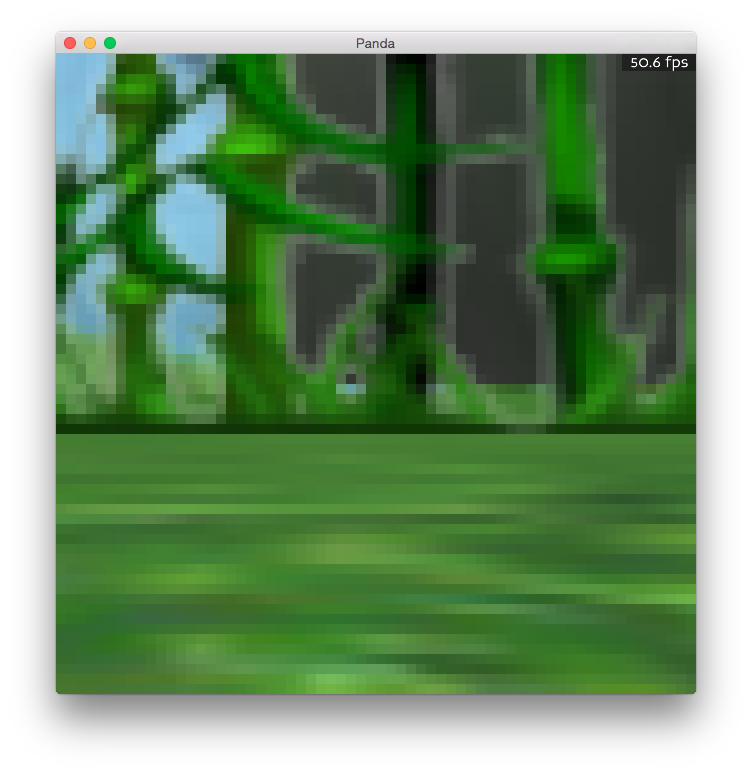 In the documentation I couldn’t make heads or tails of Creating_Windows_and_Buffers but Low-Level_Render_to_Texture might have allowed me to render to a texturebuffer. Is that ok? Or will that have drawbacks as opposed to using an actual “framebuffer object”? If it’s fine, could somebody hint me towards rendering a buffer to the window? I find render-to-texture threads and documentation but no render-from-texture info. That looks about right. “framebuffer object” is an OpenGL term - Panda will implement the texture buffer using a framebuffer object on the back-end. # You probably also want to set the wrap mode. set_wrap_u/set_wrap_v doesn’t seem to make a noticeable difference though (at least in a static scene in 1.9.1). By the way, I wanted to achieve this to have a render suitable for the lowrezjam 64x64 resolution game jam on itch.io. I will probably not use it but I’ll share this thread on their forum.